Will this see the death of the compact camera? You think your 5-megapixel cameraphone is advanced? 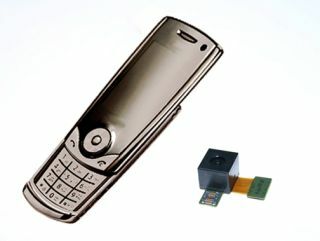 Think again, for Samsung Korea has announced the world's first 8-megapixel CMOS camera module for mobile phones. Samsung Electronics is set to start the megapixel war in the mobile market with this new 8-megapixel camera module. No bigger than a current 3-megapixel offering, the 8-megapixel cameraphone measures 10.5 x 11.5 x 9.4mm and supports auto focus, Newlaunches.com reports. The 8-megapixel CMOS camera module is due to go into production by the first half of 2008 so it's likely we won't get to see the first handsets over here until 2009 at the earliest. Who needs a separate camera? The arrival of 7 megapixel and 8 megapixel phones begs an obvious question: how will this affect the digital camera market? "8MP camera phones can only make the situation worse for retailers," says tech.co.uk camera reviewer Matthew Richards. " Jessops have already been complaining about drops in profits, saying that potential customers were now taking their snaps on camera phones instead of buying digital compact cameras." "I can see photographic enthusiasts splashing out on D-SLR cameras, and people will still like to have compact cameras for holidays and special occasions. For the rest of the time, a phone that does everything will surely impact on all sorts of gadget markets." The only saving grace for the low- to mid-range camera markets is that it will take a while for new phones to filter into the UK market and gain a foothold.